the east coast has been getting more snow than usual. I’m fortunate enough to not be in a one of the many places TERRIBLY AND ADVERSELY affected, and so I’m loving it. I took a walk today, to enjoy it. as I walked around, admiring it, I remembered how much I love snow in video games, too. I remember when my friends and I played the first Dungeon Siege game back in college… there’s a portion of the multiplayer campaign that’s in a snowy region, and I was so impressed by it at the time. watching the snow as I spun the camera around… so pretty! 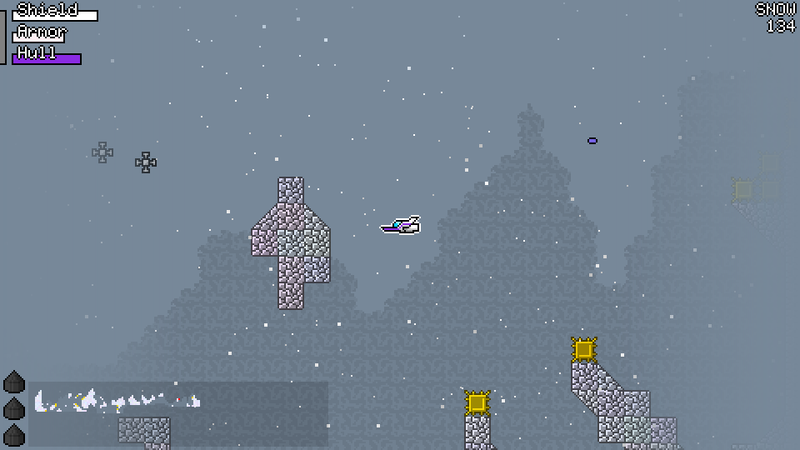 as I was thinking of all this, I realized that Mysterious Space’s representation of snow was lacking. there are too few flakes. there’s no fog.